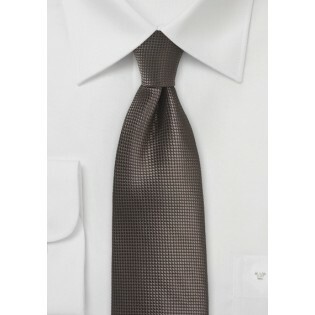 Our Mens Necktie in Dark Chestnut Brown is our pick of the crop for a Fall accessory choice. 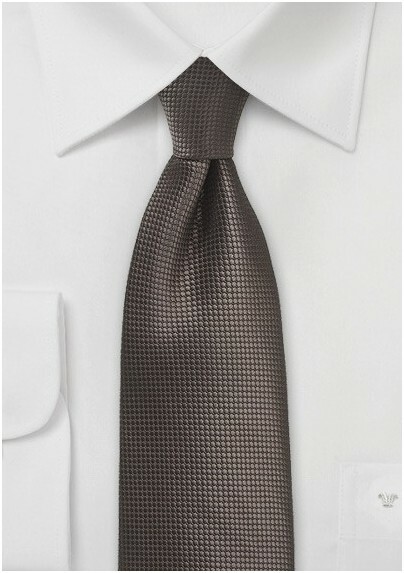 Boasting a warm brown shade enhanced by a faint cubic pattern, this tie combines all the factors for a stylish yet elegant look! Pair it with a charcoal or navy suit, and why not add one of our pocket squares to complete your outfit.